If you have ever seen a Lotus flower suspended on a pond in full bloom, it becomes clear why this flower has maintained such a reverent place in many different religions. 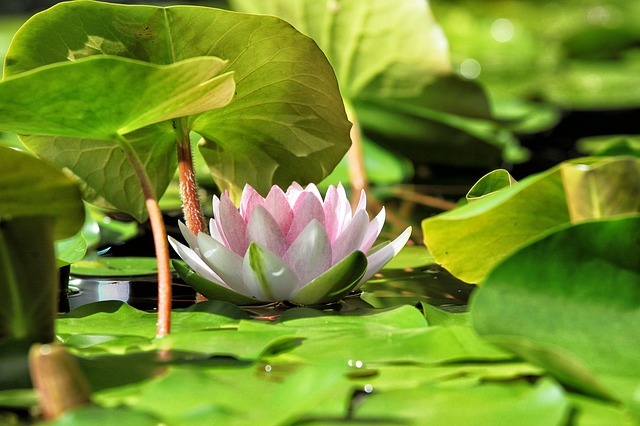 Throughout history, just the nature of the flower bloom sinking below the surface of the water and then reappearing three days later to bloom again gave rise to the powerful symbolic meanings impacting many cultures and religions. Because of the sinking and rising nature of the blossom, the Egyptians believed that the Lotus represented rebirth. Because the flower retreated at night and only reappeared during the day, the Lotus also symbolized the Sun, an all important deity representing Creation for the Egyptians. Different religions or belief systems utilize different colored Lotus blossoms to represent a different lotus meaning. The most prevalent color for these blossoms immortalized in Egyptian hieroglyphs was blue. Some of these hieroglyphs would be representative of a raft for the Sun rising from the creation waters known as Nun. Another Egyptian use of the Lotus symbolism was to combine the Lotus with the Papyrus which represented the union of the upper and lower Egyptian kingdoms. Buddhist have long associated the lotus blossom with purity as well as spiritual awakening and faithfulness. The religion of Buddhism also differentiates the symbolism of the lotus depending on the different colors. The blue lotus represents wisdom, the white mental purity, the red love and compassion and the purple representing the noble eightfold path from Buddha’s principal teachings. 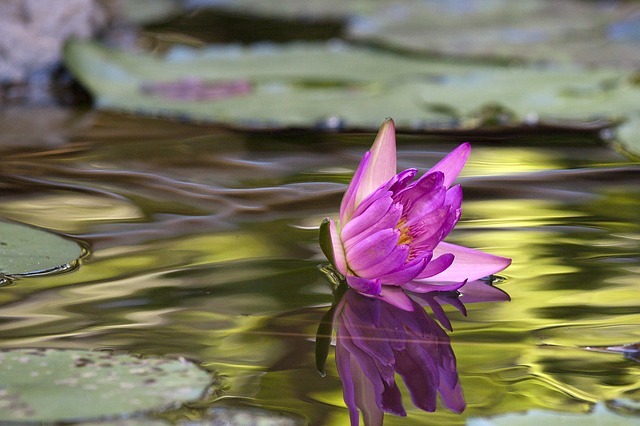 The pink lotus is regarded as the supreme lotus and the true lotus of Buddha. Perhaps the strongest use of the lotus blossom symbolically is within the Hindu culture and religion. Many of the Hindu gods and goddesses are depicted in association with the flower. One such example would be Laxmi most often depicted sitting on top of a lotus blossom. The Hindus also show their god of creation, Brahma, emerging from a lotus. The shape of the lotus blossom within the Hindu culture can also be symbolic. The closed lotus bud is often utilized to represent the closed soul who has the ability to open and be shown the truth. Other than the unquestionable beauty of the lotus blossom, there is a common thread of symbolism throughout history and through multiple cultures. The more significant traits of this symbolism come from the observance of the lotus blossom’s cycle of submerging underwater and immerging, three days later, fresh and beautiful again. It is understandable how an analogy can be drawn from the lotus blossom to represent the rebirth of man, the reincarnation of the soul or the awakening of the mind to the truths of life. It is also understandable that the immergence of the lotus blossom from murky waters untouched and clean could be representative of purity or untouched by unclean worldly truths. Perhaps the most important symbolism is the common use of the beauty of the lotus flower to represent the life and soul of humanity. This reoccurring truth is a symbol of how we are all ultimately tied together regardless of any worldly differences.